Here at the Happy Foodie we love a bit of pumpkin carving around Halloween time. But what to do with all the beautiful sweet flesh that’s often left over after all the excitement? Whether you’re looking for something warm and hearty or sweet and sticky, we’re full of ideas to use up your lantern leftovers and get you in the kitchen. Whether you're carving a Halloween pumpkin or have just picked up a cheap squash, this colourful salad recipe from the Great British Bake Off: Winter Kitchen cookbook is a great vegetarian dish. 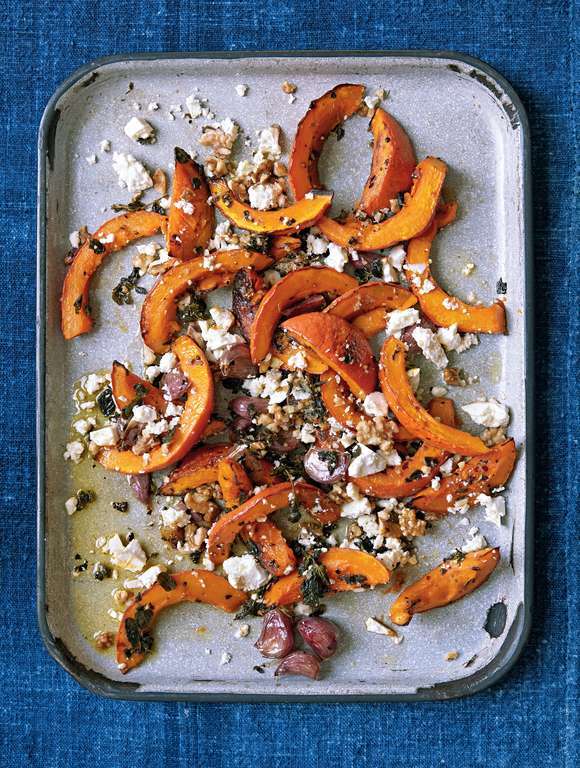 The wonderful balance of sweet roasted pumpkin and salty feta is sure to be a winner. Click here to get the recipe. The texture of this soup is so velvety, it feels like it has cream in it, but in fact it's a healthy mixture of vegetables, and the creaminess comes from the silky texture of the pumpkin. 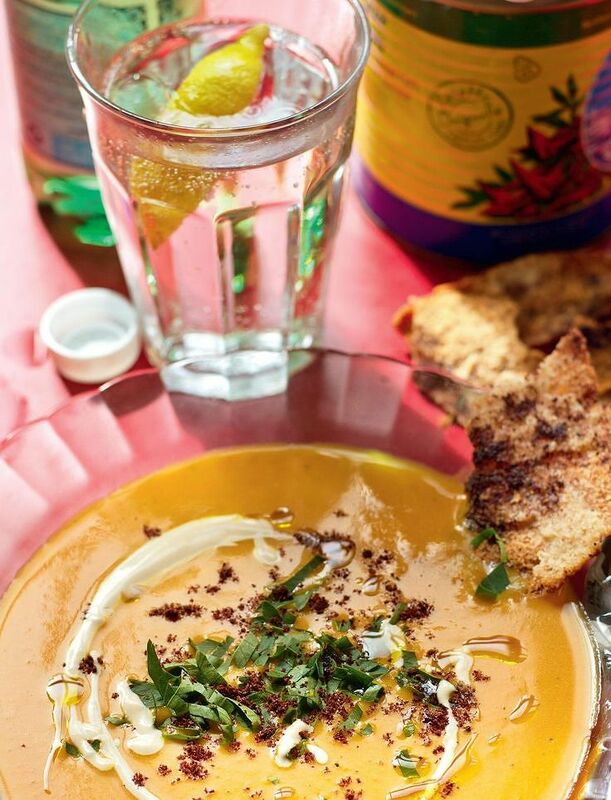 Flavoured with a collection of Lebanese spices, this recipe from the Comptoir Libanais cookbook knocks the traditional pumpkin soup out of the park! Click here to get the recipe. 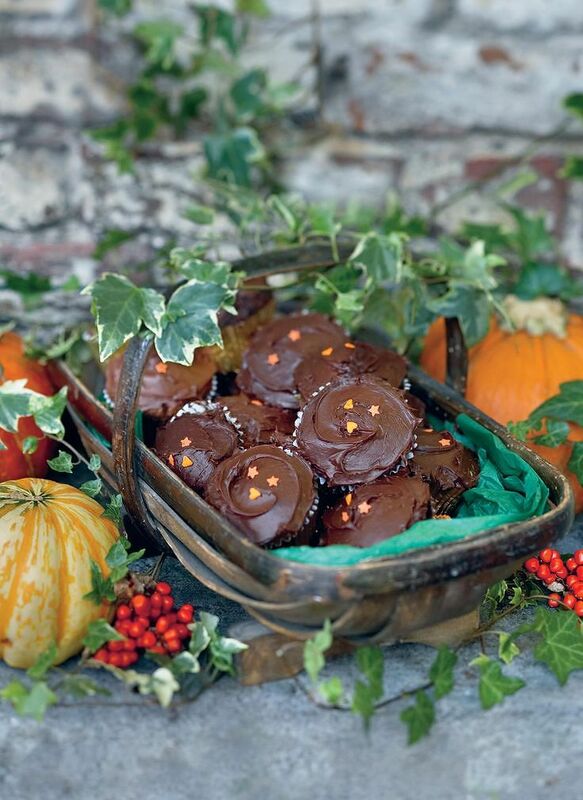 If you haven't had enough of sweet things this Halloween, these indulgent cupcakes from the Red Velvet and Chocolate Heartache cookbook are made with grated pumpkin for a clever twist. Think carrot cake with lashings of chocolate and peanut butter! YUM! Click here to get the recipe. Watch Michelin-starred chef Michael Caines demonstrate how easy it is to make your own saffron tagliatelle pasta. 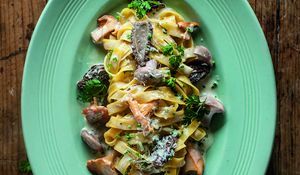 Serve with his wild mushroom sauce. 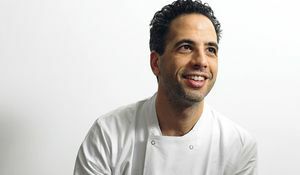 Learn how to make Muttabaq, a delicious Arabic dessert of filo pastry, ricotta and goat's cheese, with Yotam Ottolenghi and Sami Tamimi. 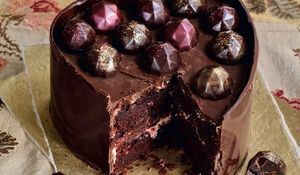 Working with chocolate is straightforward, as long as you have the right expert to guide you. Here, Molly Bakes shares her simple instructions for melting and tempering chocolate.